A global warning about the dangers of ‘diet pills’ that claimed the life of a tragic British woman has been issued by Interpol. The international police agency put out the alert to forces in 190 countries after the death of 21-year-old Shrewsbury woman Eloise Parry. 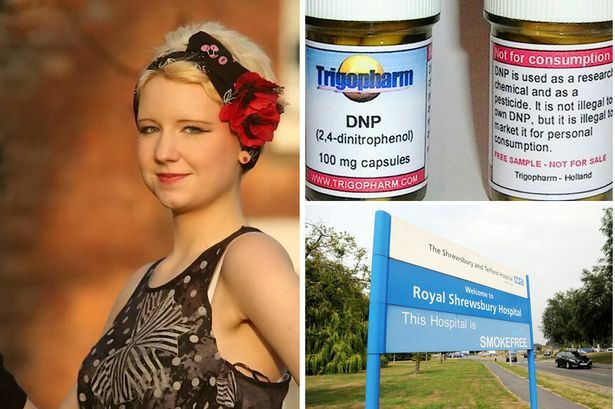 The agency has raised the alarm over the toxic pesticide dinitrophenol which is also thought to have left a Frenchman critically ill. Miss Parry, 21, of Shrewsbury, Shropshire, died at the Royal Shrewsbury Hospital last month after taking tablets she bought online. Police believe they included a quantity of the substance, known as DNP. A study last year warned the drug, sometimes used as a weight-loss or bodybuilding aid, could be linked to five more deaths in the UK between 2007 and 2013 and could cause breathing difficulties, fast heart rates, fever, nausea and vomiting.